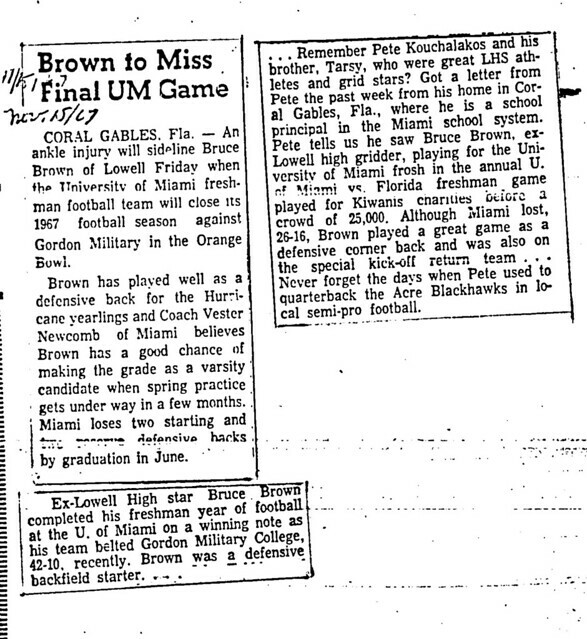 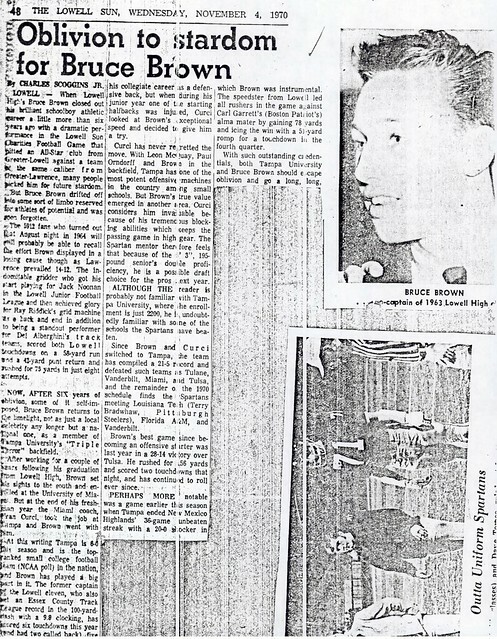 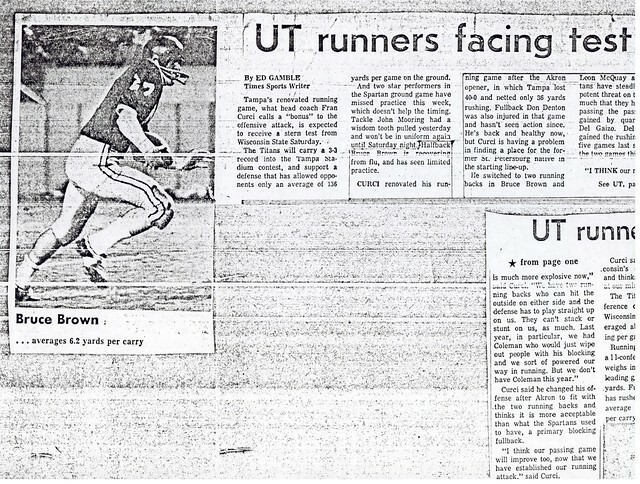 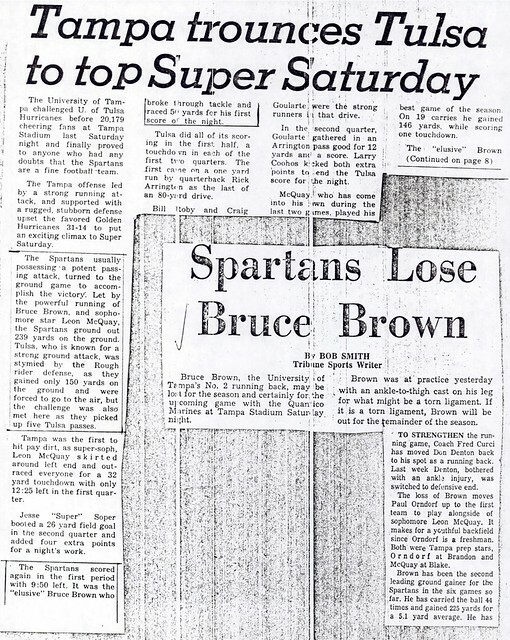 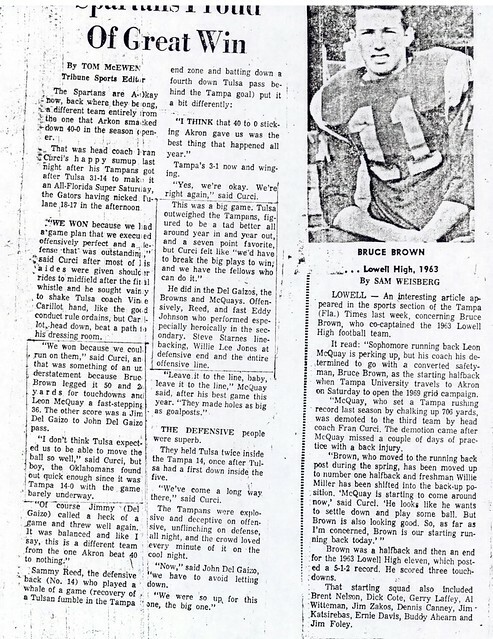 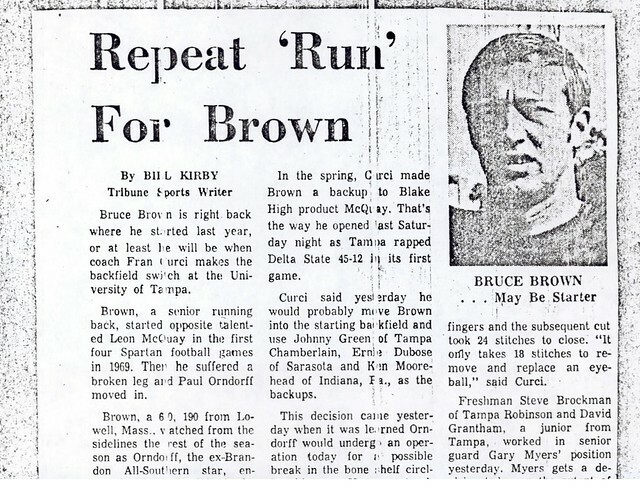 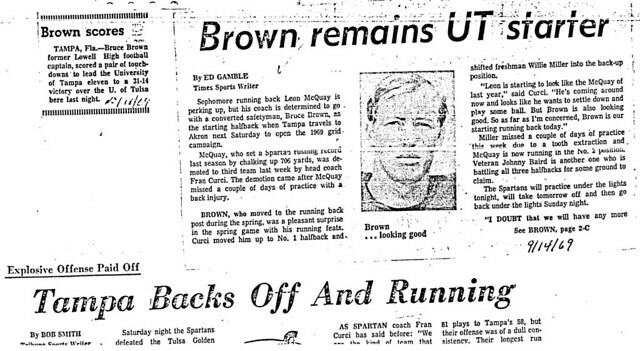 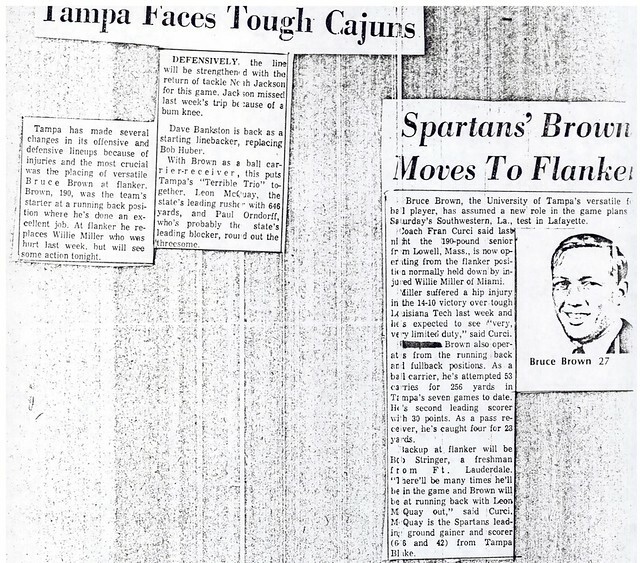 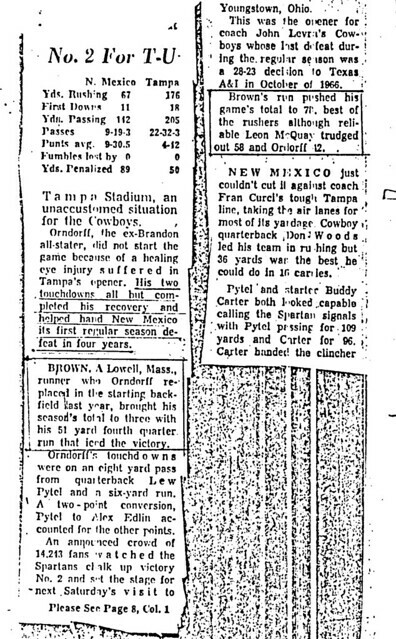 One of the truly versatile athletes of the 1960’s, Bruce Brown went on to an outstanding football career at NCAA Division I Small College Power Tampa University. 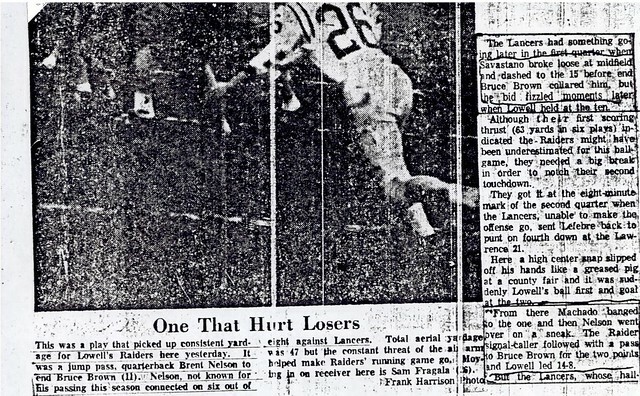 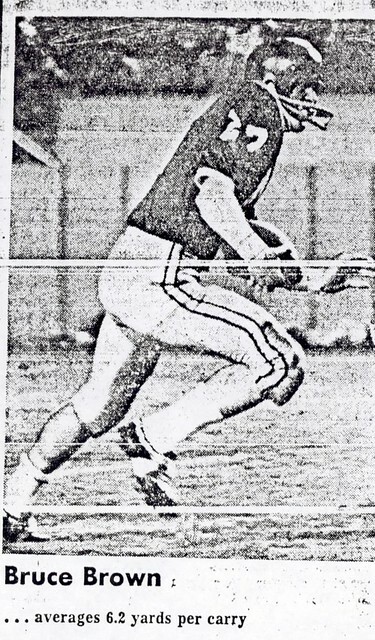 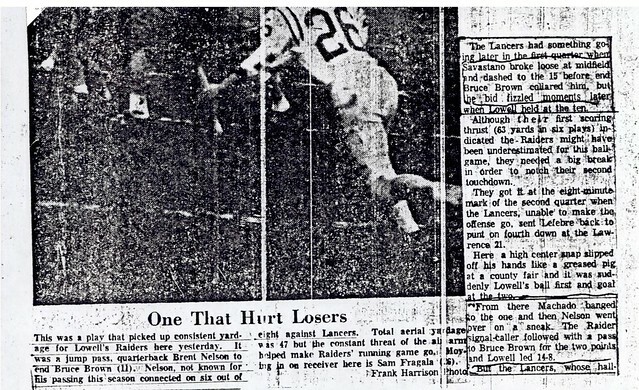 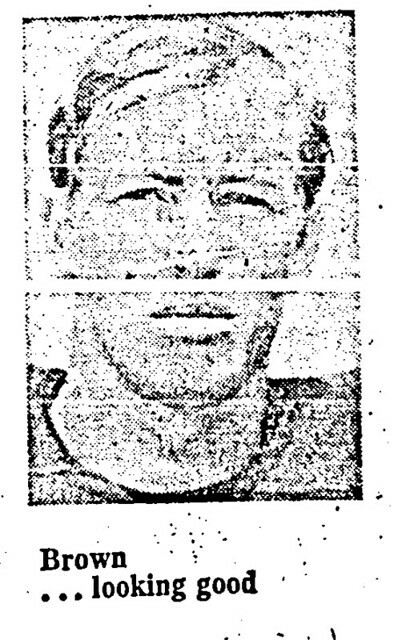 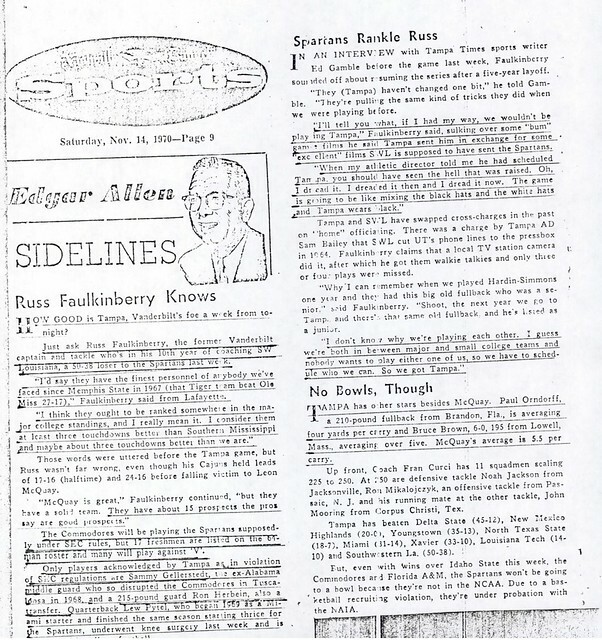 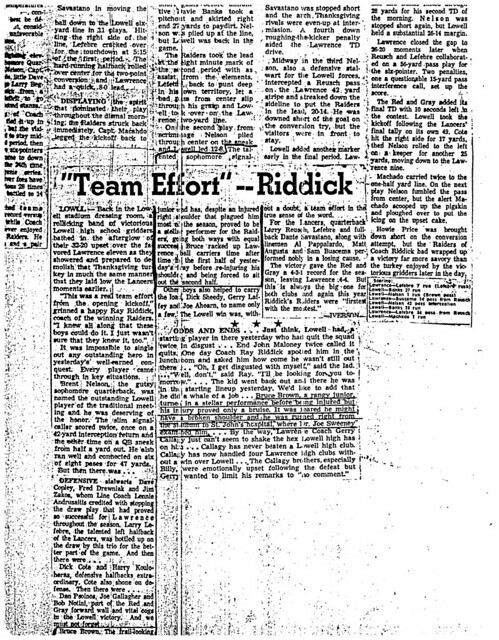 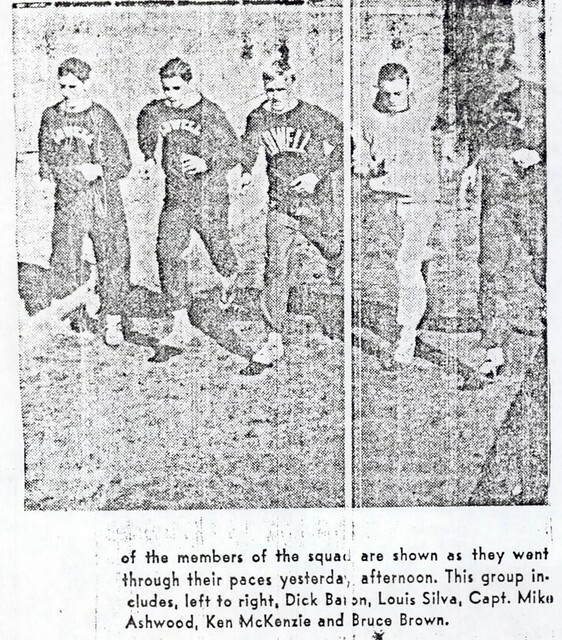 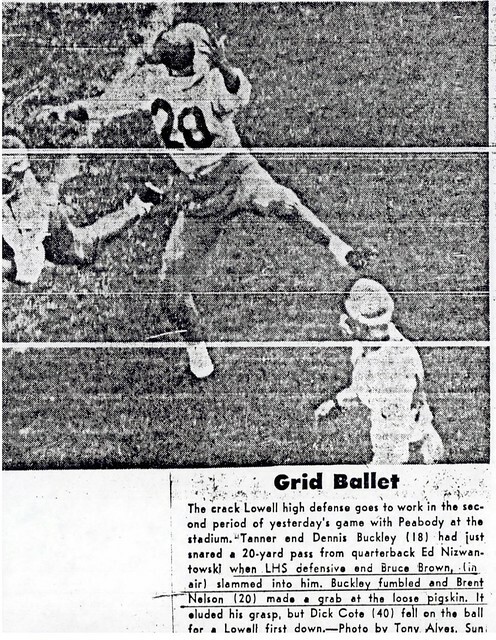 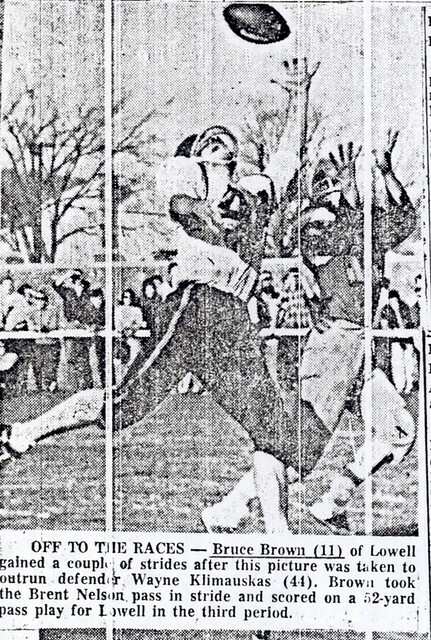 First as a pass-catching end, then as a speedy, elusive running back, Bruce was one of the offensive leaders for Coach Ray Riddick’s Red Raider Eleven in 1962–1963. 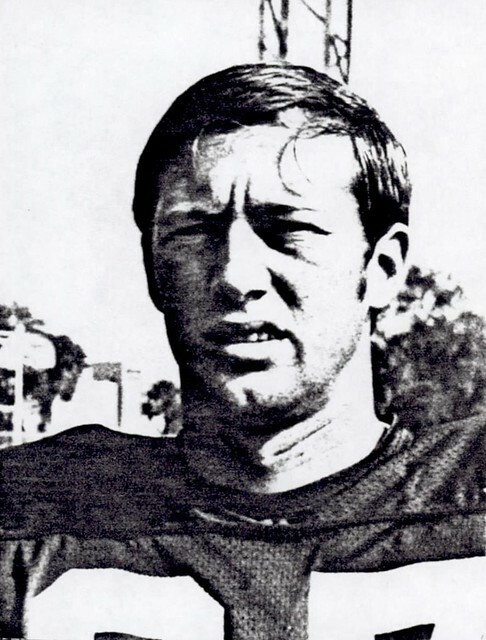 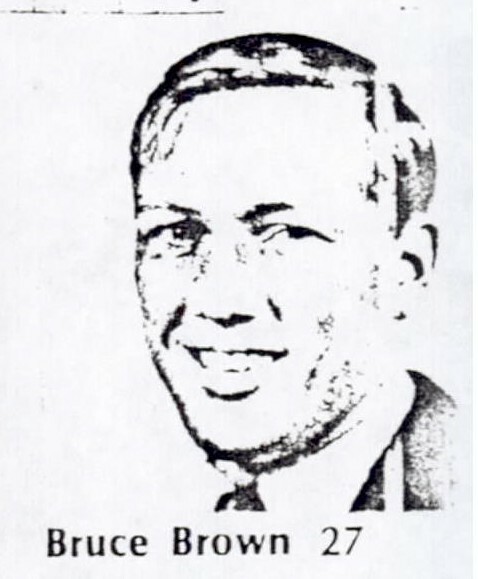 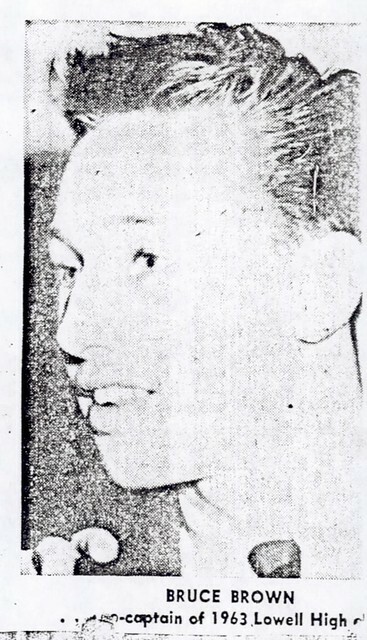 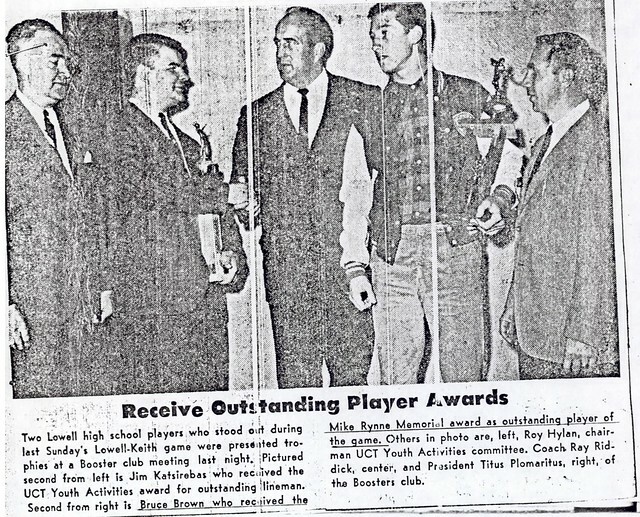 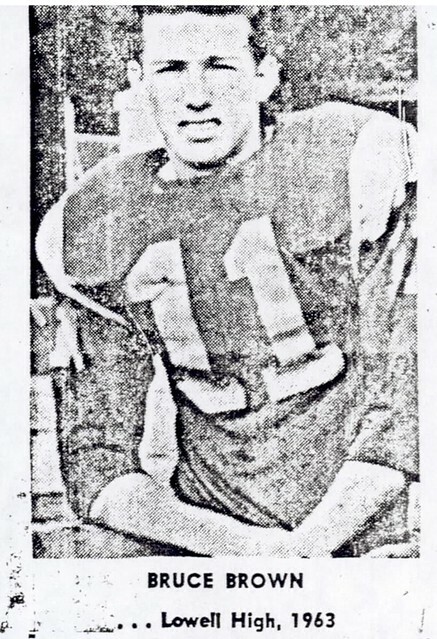 As a senior in 1963 Bruce, Team Co-Captain, was named the team’s Outstanding Back. 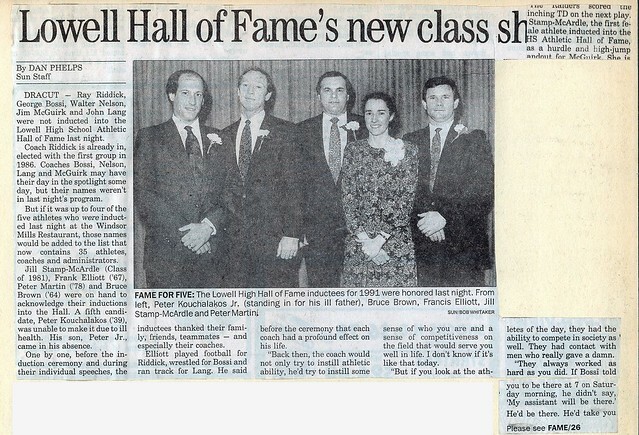 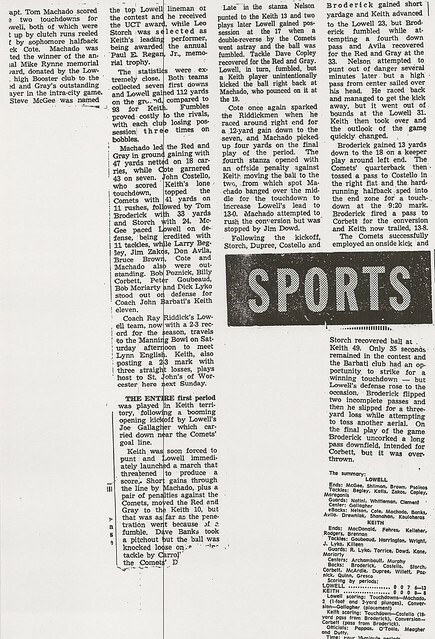 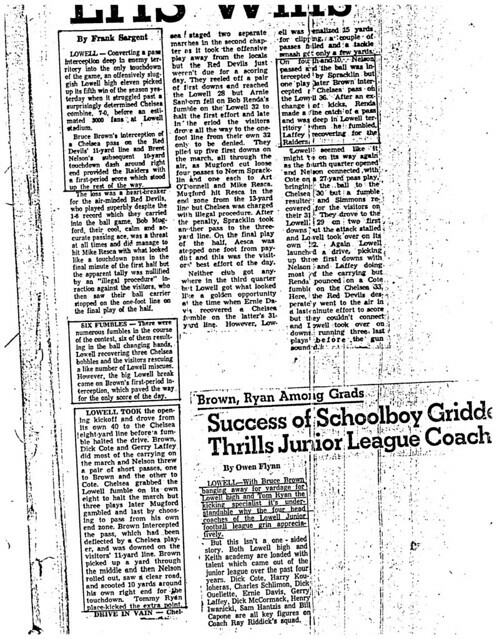 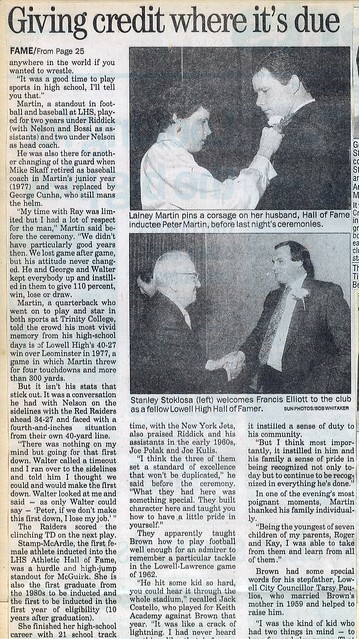 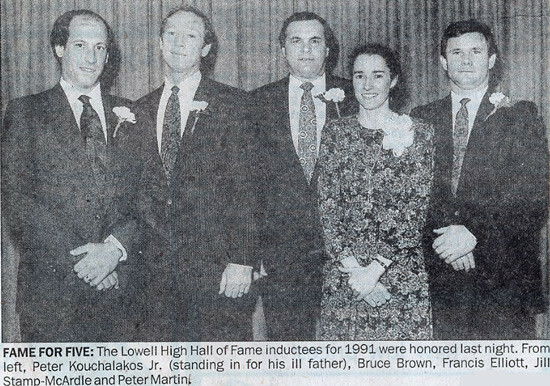 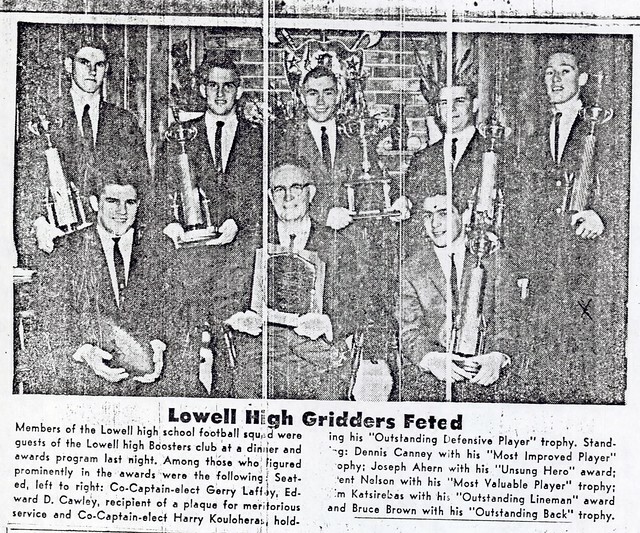 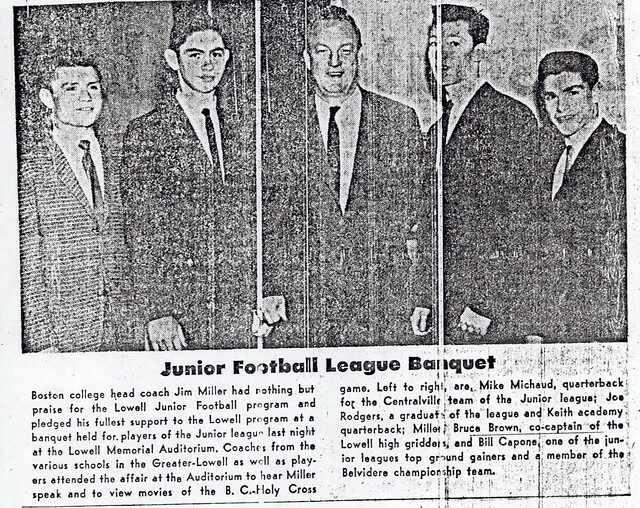 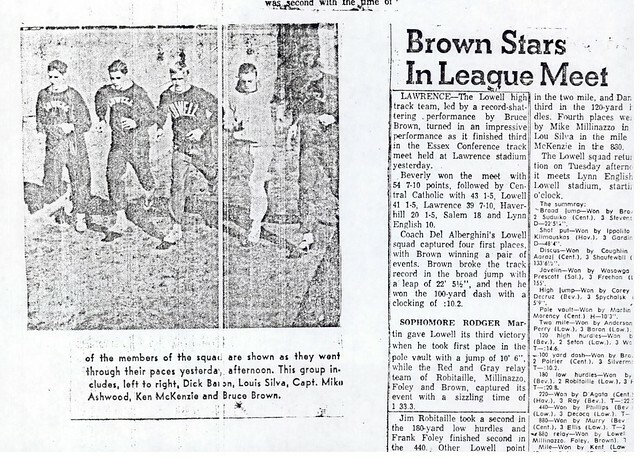 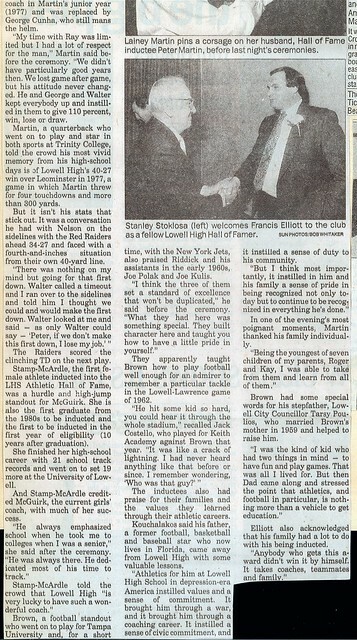 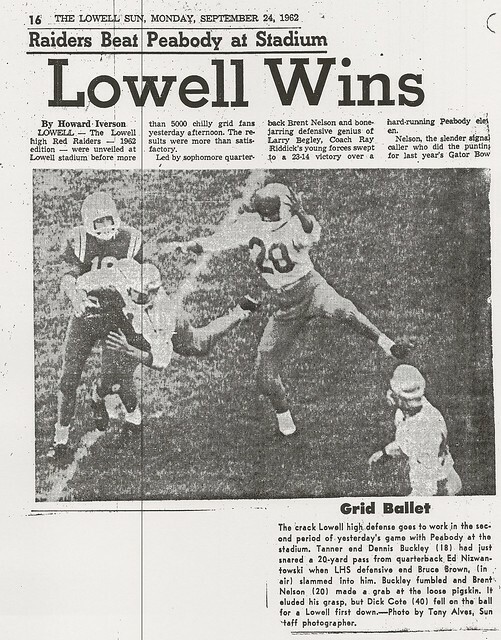 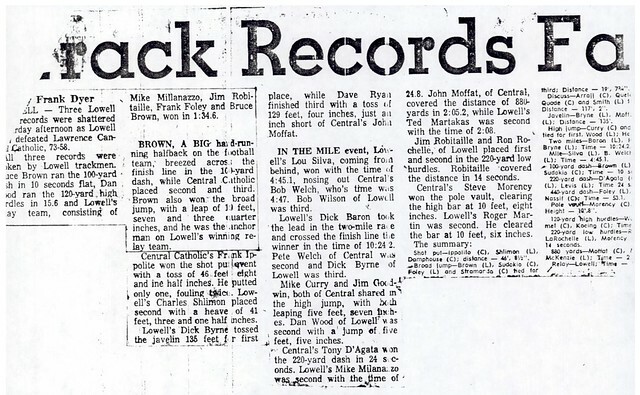 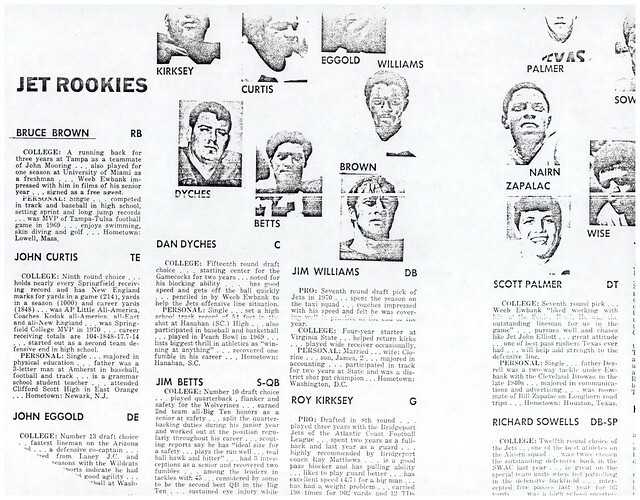 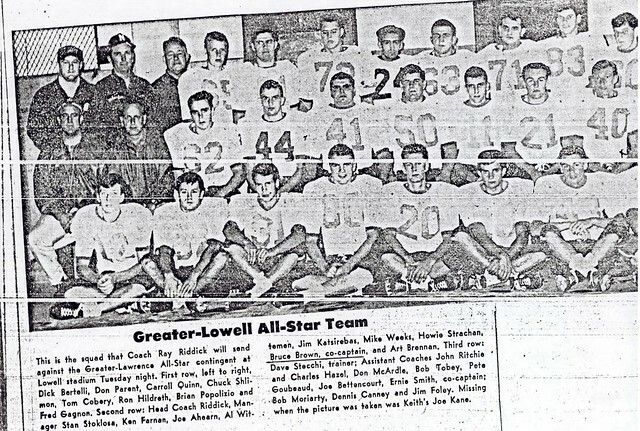 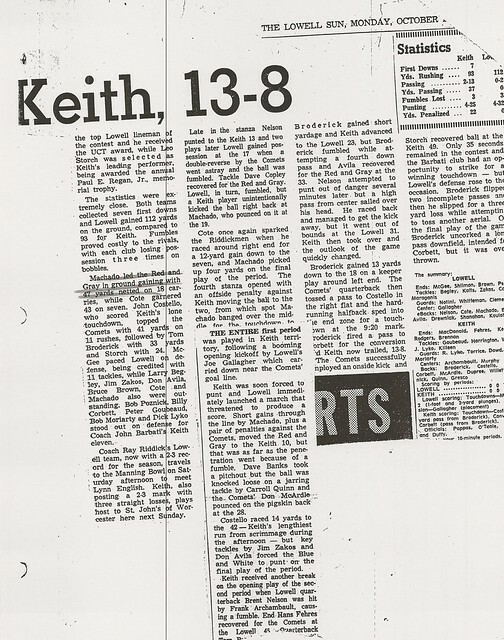 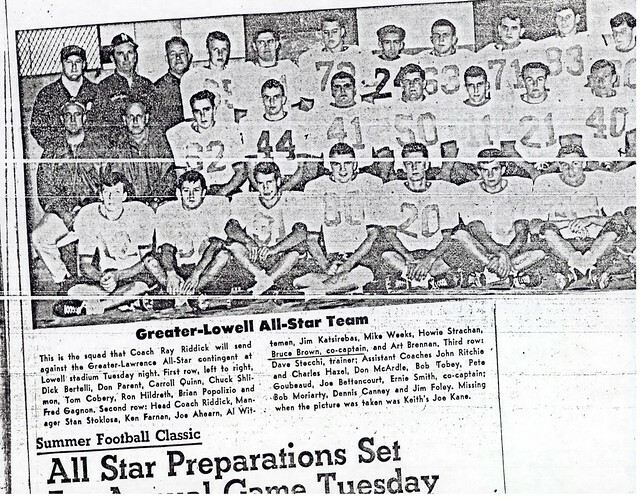 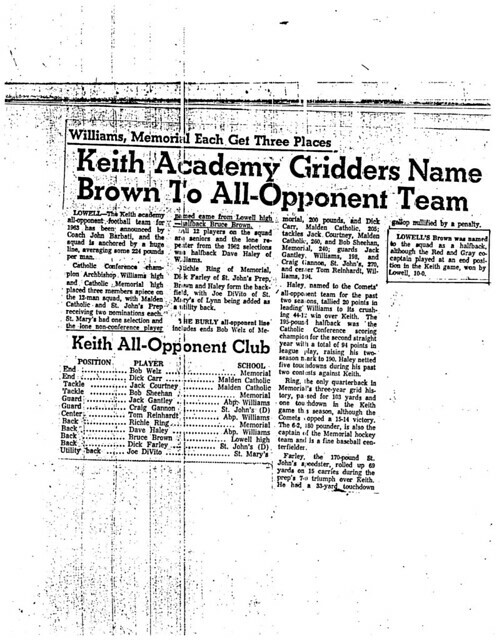 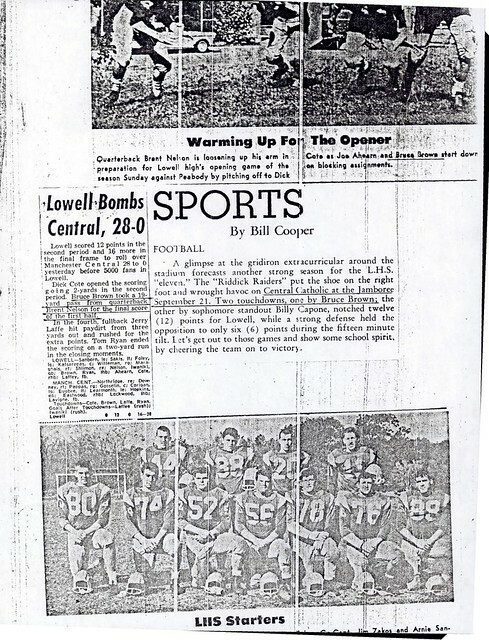 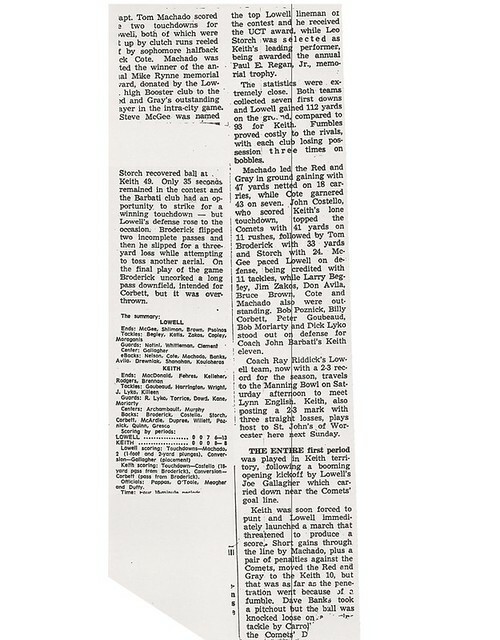 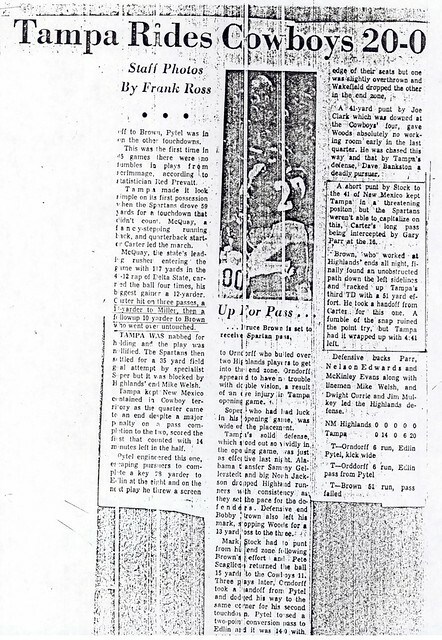 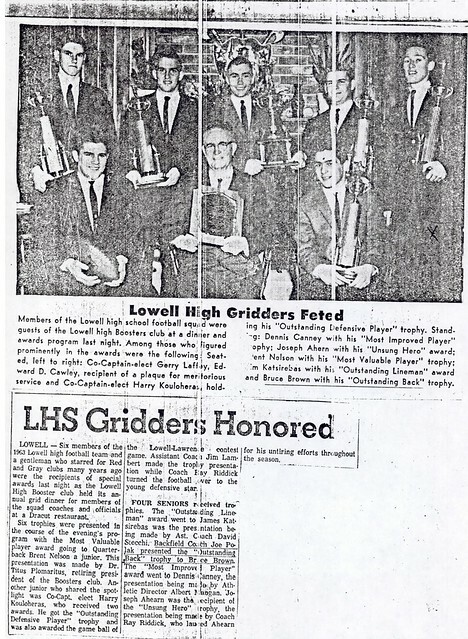 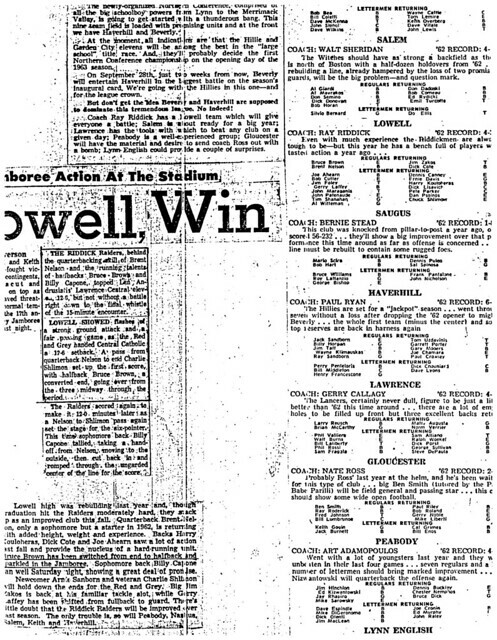 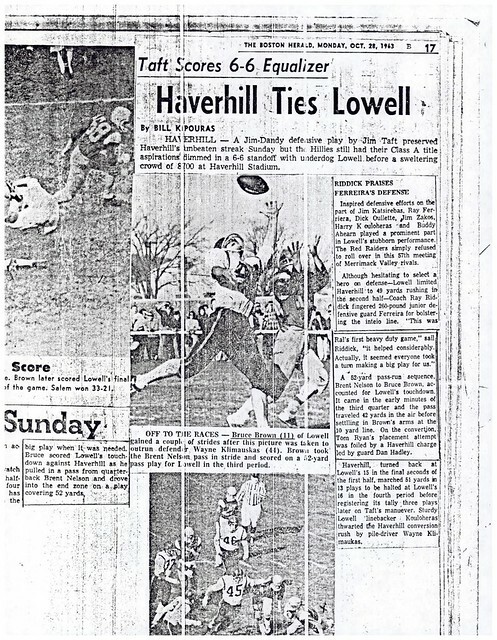 He also was Co-Captain of the Greater Lowell All-Stars in the annual Lowell Sun Charities Contest against the Greater Lawrence All-Stars in 1964. 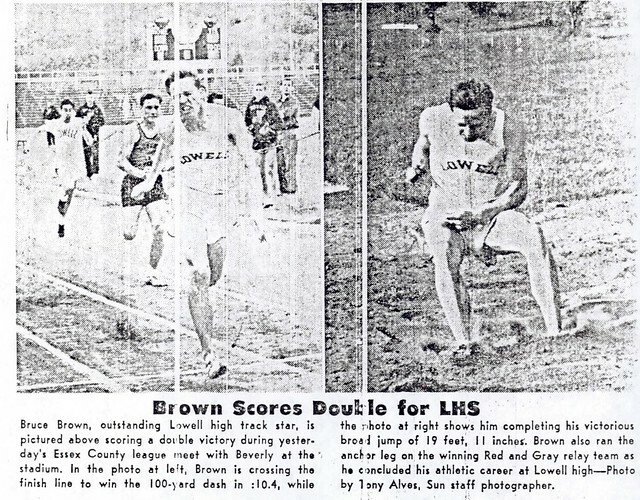 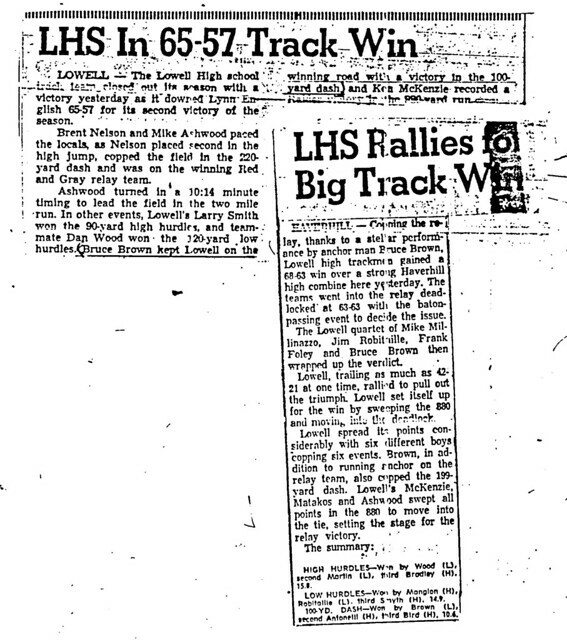 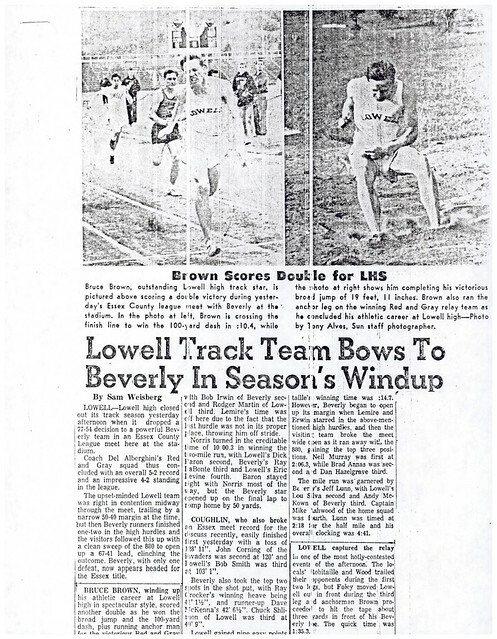 In track and field Bruce was a standout Sprinter/long Jumper, equaling the state record of 9.8 seconds in the 100-yard Dash and setting a record 22′ 5 1/2″ in the long Jump. 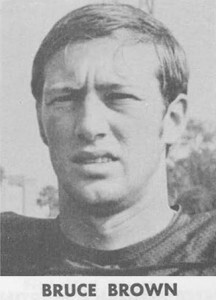 Upon graduation, Bruce spent his freshman year at the University of Miami before transferring to Tampa University as a sophomore. 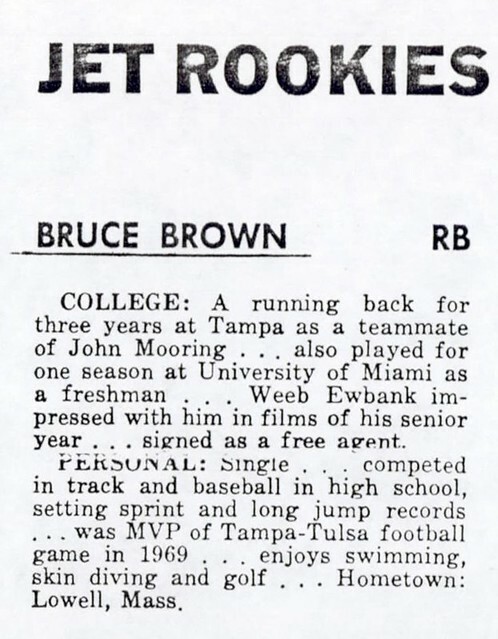 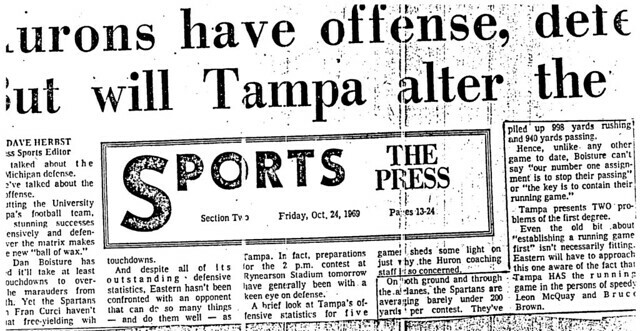 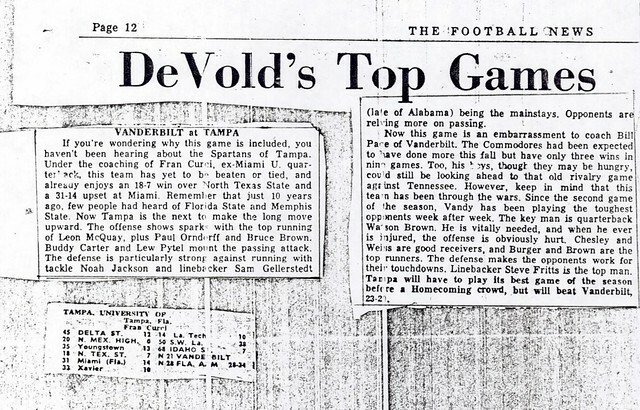 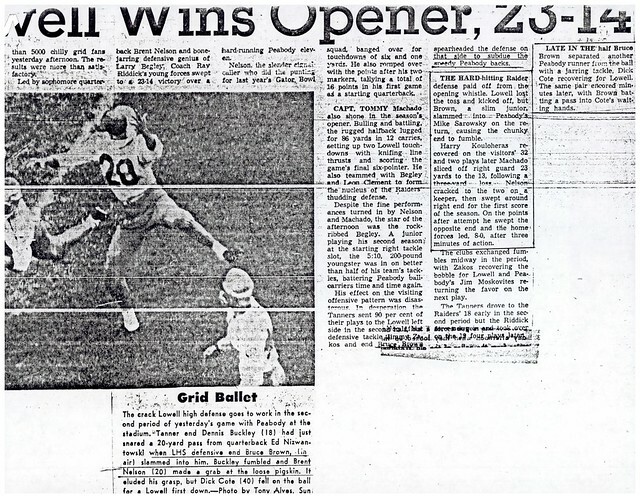 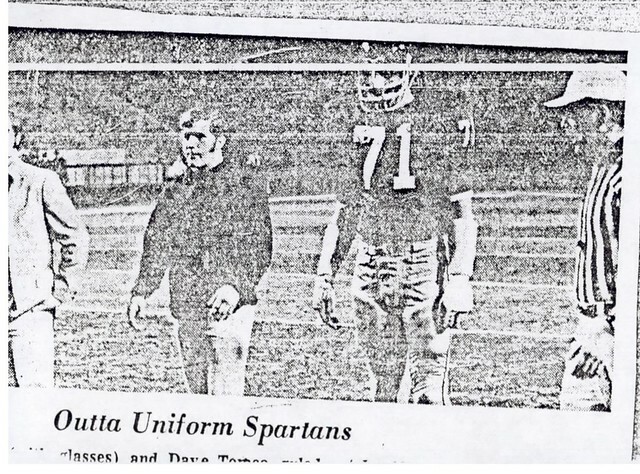 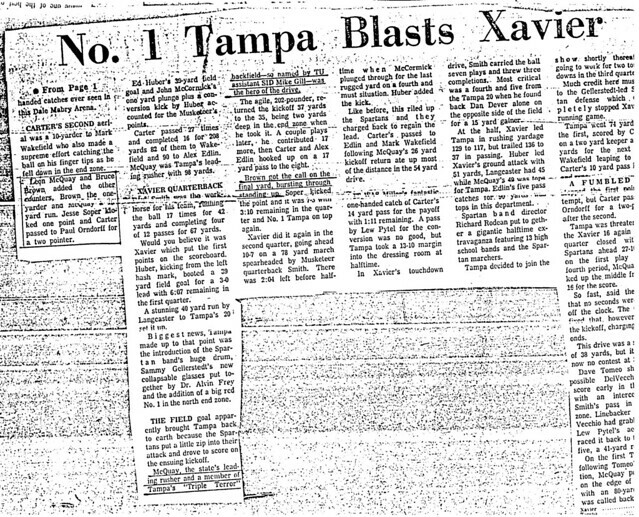 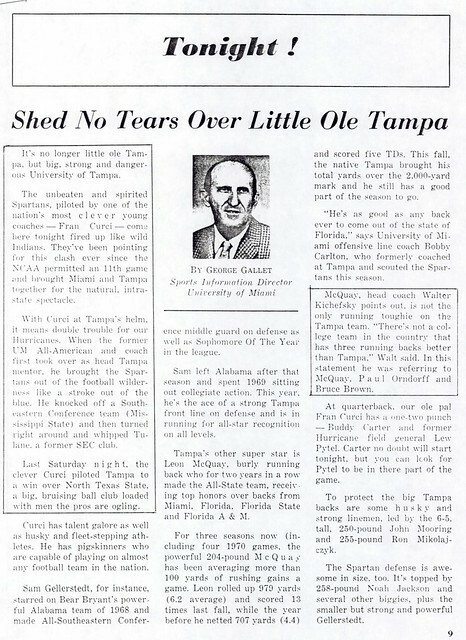 During his three-year career at Tampa, Bruce was an outstanding running back, receiving numerous honors for his efforts, culminating in his selection to play in the annual North-South Shriner All-Star Game in Miami in 1970. 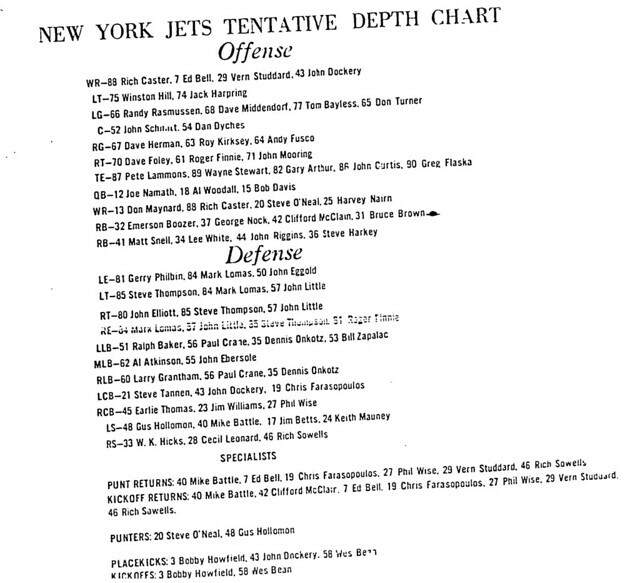 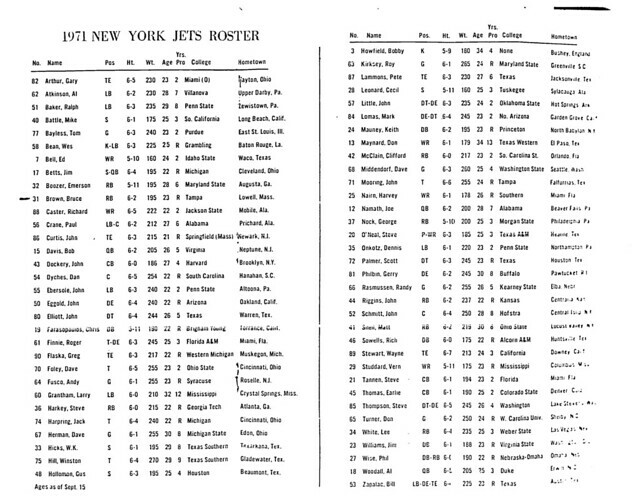 After graduation, Bruce was a member of the New York Jets until a leg injury curtailed his playing career.